I was recently chatting with a friend and customer of Select Caribbean Properties. During our conversation, the subject of his first visits to the Dominican Republic came up and he told me a brief story about his new life on the Caribbean Island. “I came here to the Dominican Republic at the invitation of a friend who owned a house in Cabrera, about an hour east of Cabarete. It was to be a short visit of one week, as I was anxious to return to my cruising sailboat which was berthed in the British Virgin Islands. I had spent years sailing in and around the Caribbean and thought I had seen it all, but within hours of my arrival, I knew I had landed somewhere special. The green hills and beautiful beaches appealed to me and seeing some of the residential communities on the north coast, I realized that one could build here to a very high standard and at a cost considerably less than anywhere else in the Caribbean or as an alternative buying a condo either in Sosua or Cabaret. But one thing remained…I love to sail and needed access to the sea. On the recommendation of a friend, I visited Cabarete and walked into the Carib Wind Center. My eyes bugged out, for I found myself surrounded with Lasers and Hobbie Cats, windsurfers, and inflatable crash boats. I had landed in the midst of preparation for the Caribbean Laser Midwinters, a great regatta sponsored and run by Carib Wind’s owners, MJ and Ari Barshi. I had a lot of questions about buying real estate in the Dominican Republic and all of them got answered. After hours of immersion in the medium I love, I was invited to join Ari at the on-site bar/restaurant known as EZE bar. They offered cold Presidente and a wonderful selection of wraps and salads. Those hours in Cabarete convinced me that I had found my new home. 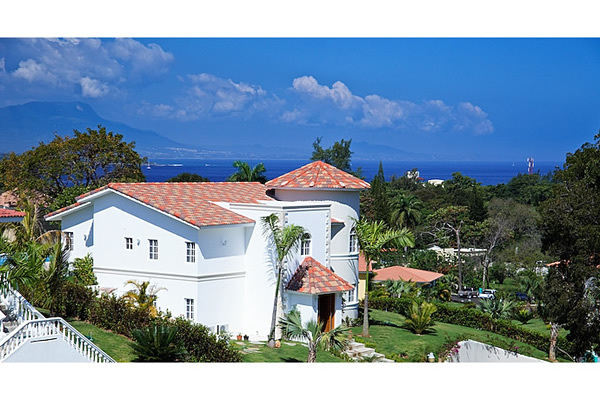 I bought land through the real estate company Select Caribbean Properties, built a villa and started a small business. We are starting today a series of interviews of people who have decided to choose the Dominican Republic way of living. 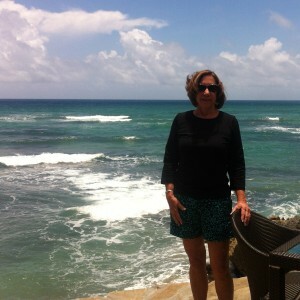 In today’s article, Donna Milligan tells us why she chose the Dominican Republic. I came to the Dominican Republic because I love the Caribbean. I left the states in 2005 and went to St. Croix, the Virgin Islands for the beauty of the Island and to enjoy sailing and snorkeling. The cost of living there became extremely high, and there are not many amenities. I decided to move to the north coast of the Dominican Republic because it has the Caribbean lifestyle, stateside prices, and more things to do and modern amenities. I purchased a beautiful spacious lot in Hacienda El Choco, a hacienda style residential community, through the real estate company Select Caribbean Properties, and I am currently building a villa designed by the Cabarete based architect Eric McGregar Urbahn. I like the fact that I can find in the Caribbean besides beaches, waterfalls, lakes, and streams a lot of other activities to enjoy myself and entertain my friends and family members who are visiting. My favorite thing to do is ride my horses at the Seahorse Ranch Equestrian Center and enjoy the beach (swimming, snorkeling, and long walks). The traffic is not as congested as in the United States. However, the drivers are quite daring and challenging. The expats I have met here are very cordial and the locals are very friendly. I find that the local restaurants are much more accommodating than the ones in the Virgin Islands and locals are happy to have the business and are more service oriented. Dominicans in general, are very friendly people and are happy to be around foreigners. A lot of friendships have been developed over the years between locals and expats.